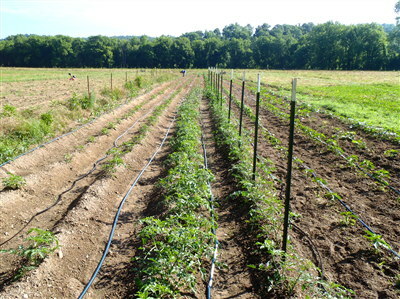 In the spring of 1621 the Pilgrims and the Indian tribes planted and worked in the fields of agriculture. We can see that both the English and the native tribes had skills and abilities the other lacked. We read in William Bradford’s book Of Plymouth Plantation, “Afterwards they…began to plant their corn, in which service Squanto stood them in great stead, showing them both the manner how to set it, and after how to dress and tend it.” Squanto and the Indian tribes had great experience with the land that the English lacked. They had a history of learning from mistakes and finding what worked. They knew the right seeds to plant. Squanto taught the English to fertilize their corn with the fish that would spawn in the river nearby at just the right time. If they didn’t, the nutrients in the land would get used up. Here we can recognize that God provided the Indians with fish that would spawn at just the right time to fertilize the land so they could eat and live. As Matthew 5:45 says, God “makes his sun rise on the evil and on the good, and sends rain on the just and on the unjust.” Here the Pilgrims reaped the benefits of working with the pagan tribes by learning the good things God had given them. 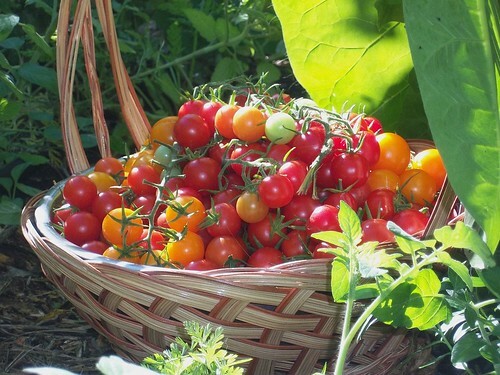 This was a very providential blessing as their own seed did not do well, but thanks to this help they had enough food. But despite God’s blessing on the native tribes, they were not exactly prosperous and thriving. 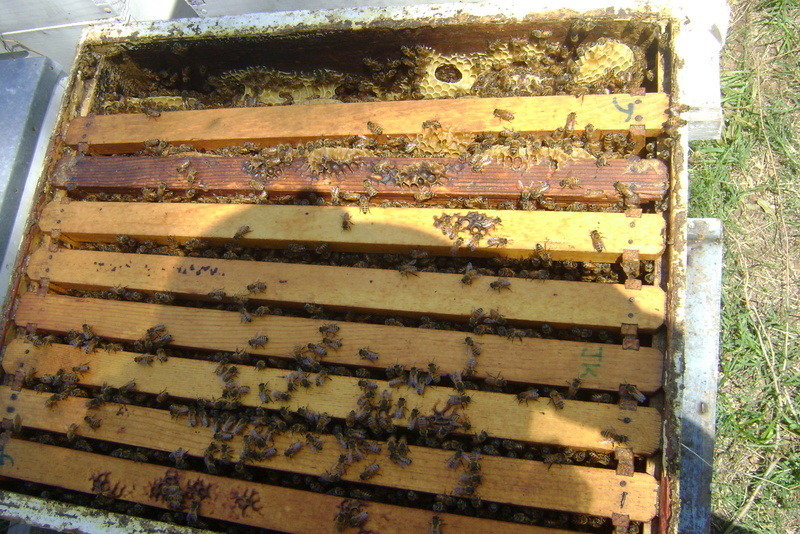 The help was not all one sided, as we can see from an event that happened two months later. 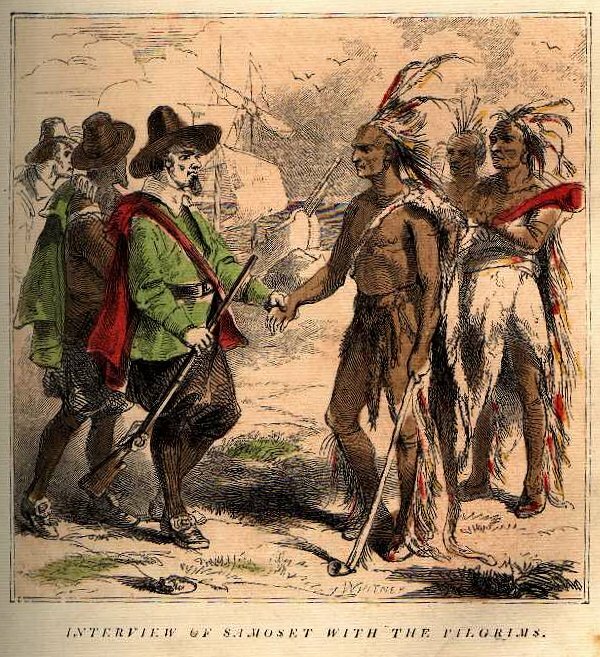 It had been a little time since the English had seen Massasoit and so they sent two men along with Squanto to meet with him. This expedition had several objectives. First, to reaffirm peace with Massasoit and to keep a good relationship with him. 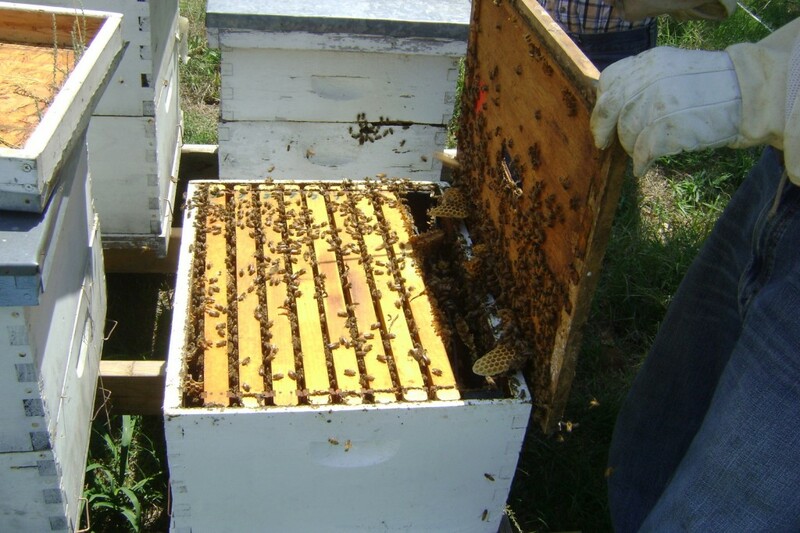 Second, to exchange for seed for experimentation. The Pilgrims wanted to make sure that had a variety of things planted in case some failed. Third, to find out which tribe it was that they had taken corn from in the winter, so they could pay them back for it. Fourth, to explore the area around them. And fifth, to limit hungry visitors. It is this last objective that shows something about the Indians’ work ethic and food production. What was happening was there were many Indians that were taking advantage of the Pilgrim’s hospitality and staying there eating up their food. 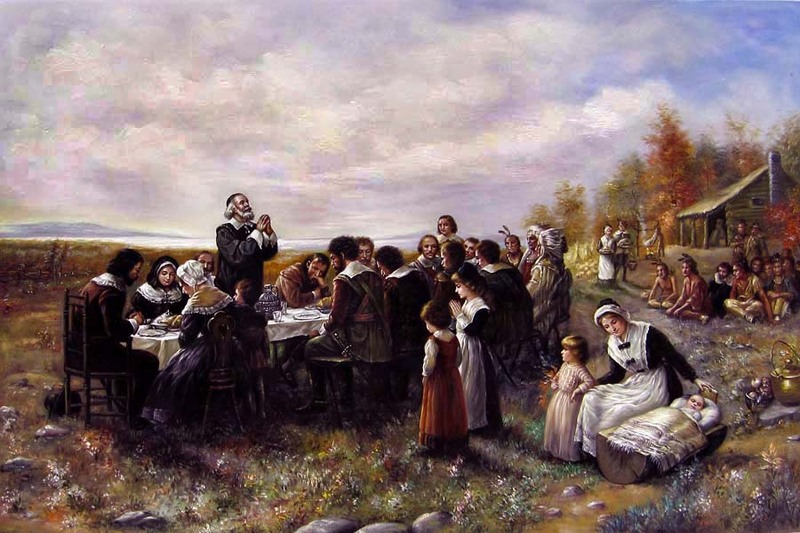 The Pilgrims wanted to be hospitable, but did not want to run out of food and so asked Massasoit to limit visitors to the amount they could handle. They were generous with gifts and hospitality, but did not want to become welfare providers, especially when they couldn’t afford it. As the small expedition went out they could start to see why many Indians preferred to get the food from the English. The Indians, despite having a great abundance of natural resources, still struggled in having a stable food supply and clean habitations. 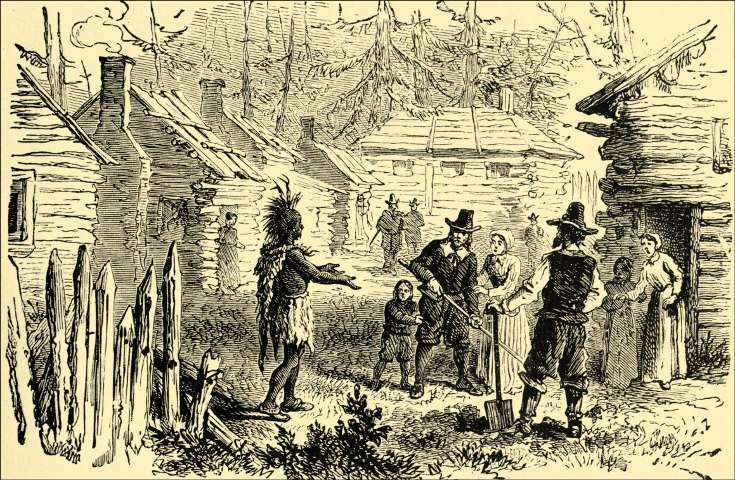 As Edward Winslow (one of the two men on the expedition) says in his book Mourt’s Relation, describing a meager meal they had with Massasoit, “this meal only we had in two nights and a day, and had not one of us bought a partridge we had taken our journey fasting…he was to have us stay with them longer: but we desired to keep the Sabbath at home: and feared we should either be light-headed for want of sleep, for with bad lodging, the savages’ barbarous singing (for they use to sing themselves asleep), lice and fleas within doors, and mosquitoes without, we could hardly sleep all the time of our being there; we much fearing that if we should stay any longer, we should not be able to recover home for want of strength.” Bradford remarks concerning this lack of prosperity among the Indians, “For the Indians used then to have nothing so much corn as they have since the English have stored them with their hows, and seen [the Englishmen’s] industry in breaking up new grounds therewith.” On their trip some Indians desired that the Englishmen kill some crows, because they had been ruining the corn. There the two Englishmen with their superior weapons killed 80 crows in an afternoon. We can see that the Indians benefited both from observing the English work ethic, and the technology it produced (such as guns and hows). 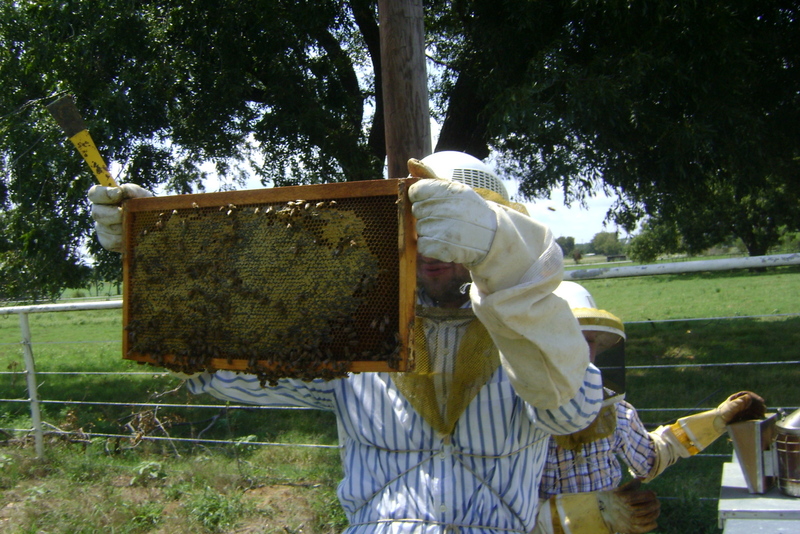 This work ethic had come from the long history of Christendom where it had been taught that work is worship to God, that work is a blessing, that we are created to work and produce to the glory of God, that our first command from God is to “Be fruitful and multiply and fill the earth and subdue it, and have dominion” (Gen. 1:28). Even the monks in the Middle Ages were taught this and spent much of their time in working and agriculture. The Protestant Reformation continued this and expanded it with its teaching of vocation, that the farmer and the pastor are both doing God’s work. The Pilgrims understood the importance of work and produced great things. When my family and I were in Plymouth in 2009 we saw a mill built only fifteen years after the Pilgrims first landed. It was amazingly intricately designed with all sorts of wheels, gears, stones, and levers–and it’s still working! We can see that the Christianity of the Pilgrims made them hard-working, productive, and a relatively prosperous society. It was this culture that built America. But there is still something in cow's milk that is good for your baby, if that something is modified and purified so that it is as light, as satisfying and as pure as mother's milk itself. That is what is done for you in Nestle's Food. It comes to you reduced to a powder–in an air-tight can. You only add water–boil one minute–and it's ready with just the right amount of fats, protieds, and carbohydrates that will make a healthy baby." I post this not to make a statement on milk. I want to show that the people trusted the government and science very much at this time. Another ad also promotes itself by saying "Best by U.S. Gov't Test." This was near the end of the progressive era which had great optimism in man's knowledge, institutions, and government. Even though World War I damaged this optimism it continued fairly strong in the popular sphere up to the 60s and the Hippies. Then the optimism was focused elsewhere (still not in a good direction), and the centralized systems took a hit. Today, some people still have a tendency to trust the government, but a growing movement is reacting against this into an almost total distrust of government and science. Read More on The Christian Philosophy of Food blog. "We can't simplify things too quickly by isolating one of these cultural expressions and asking how Scripture applies to it in isolation from everything else, for then it's not part of that social experience that's called culture. We cannot, for example, evaluate the virtues and vices of fast food in our culture merely by looking at Biblical teaching about meals. We have to take into consideration the place of the automobile and highways in our culture, our view of time and convenience, the pressures on modern families (both those relieved and those exacerbated by fast food), the opportunity for employment created by this new service industry, and the many other pieces of the cultural puzzle. We then have to ask, given all the of the other forces that shape modern culture, whether eliminating McDonald's from the equation would mean that the people would automatically eat more nutritious home-cooked meals with the family gathered around the table, or whether they would eat more frozen TV dinners on their own unsynchronized schedules." While I don't agree with everything in Myers' book, he really hit it on the head at this point. We really need a more comprehensive view of the many cultural aspects of food before we can deal with the details of each aspect. Too often we want to break things down to the specifics and forget that life is interconnected. Instead we can, and should, discuss economics, nutrition, aesthetics, community, etc. all under the subject of food. As “a little leaven leavens the whole lump” (1 Cor. 5:6 ESV), so we ought to be careful that every area of life is examined, including its relations to other areas of life. 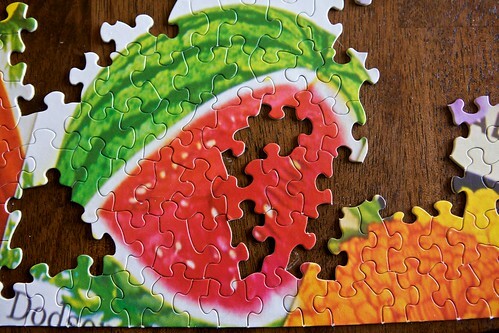 It is not easy to connect the dots, nor is it easy to balance the unity of the whole and diversity of the details. So may we humbly use the wisdom of God in trying to adjust our whole life in accordance with His Word, recognizing the difficulties of the web of "the culture puzzle". 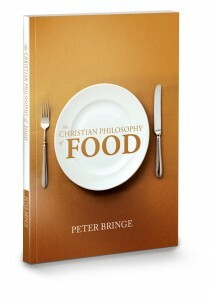 Peter Bringe is the author of the recently published book The Christian Philosophy of Food.